We hoped you liked reading Why is Bronson Arroyo Still Throwing a Changeup? by Slava Heretz! Interesting. 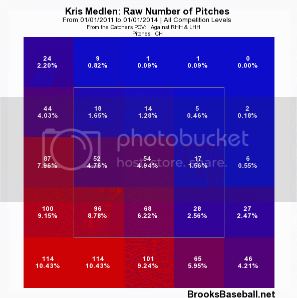 Also of note is that he almost never throws a traditional fastball anymore and has switched exclusively to the sinker. Forgetting all other factors, for the sake of argument just looking at movement, his sinker and change have similar attributes trajectory-wise. Only significant difference is velocity. Visually, hitters could just be seeing a nearly identical pitch. 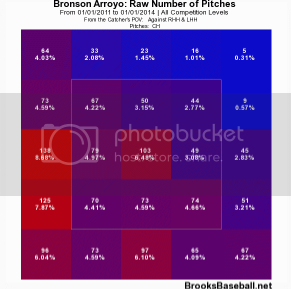 With Arroyo, its probably best if he throws as many different pitches as he can. If guys sit on the changeup then that mean they are not sitting on his curves, get rid of the change up and the hitter will look for something else. 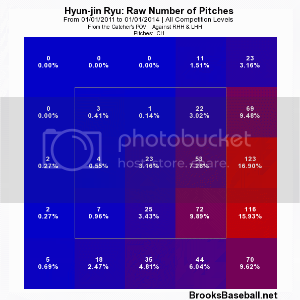 For Arroyo its probably best to just stay away from it in high leverage situations.